Insulating glass units (IG units) are a must-have feature for the urban Kenyan lifestyle and best suited for extreme weather conditions. Insulated glass manufactured by Impala Glass Industries, Kenya, keeps heat in during the colder winter months in Africa and keeps the heat out during warmer weather. 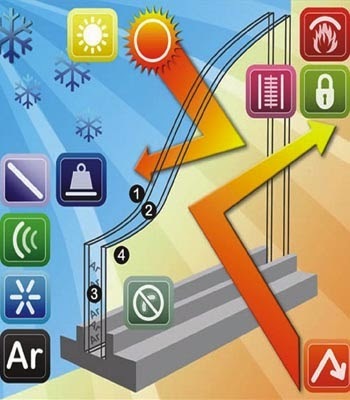 How does Insulated Glass perform? Insulated Glassimproves thermal performance by providing a thermal break – two or more lites separated by a sealed air space. This reduces heat transfer across a part of the building envelope. The glass panes are separated by a "spacer"—the element that separates the two panes of glass in an insulating glass system, and seals the gas space between them. 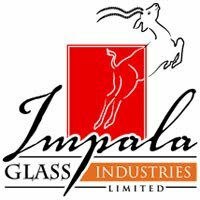 Impala Glass, Kenya, prides itself in using less-conductive material as a spacer like a structural foam or aluminum that also contains a highly structural thermal barrier. Insulated glazing forms a very compact two or three layer sandwich of air and glass, which eliminates the need for storm windows. Screens may also be left installed year-round with insulated glazing, and can be installed in a manner that permits installation and removal from inside the building. At Impala, Kenya, modern insulated glass window units come with better sealing between the upper and lower windows, and spring-operated weight balancing that removes the need for large hanging weights inside the wall next to the windows. This results in more insulation around the window and reduces air leakage. Insulated Glass Units are manufactured Impala Glass Industries, Kenya, with glass in range of thickness from 3 mm to 10 mm (1/8" to 3/8") or more in special applications. Laminated or tempered glass may also be used as part of the construction. At Impala, Kenya, we manufacture IGUs on a made to order basis on factory production lines, but standard units are also available. We continue to produce units as per the width and height dimensions, the thickness of the glass panes and the type of glass for each pane as well as the overall thickness as supplied by the client. Log onto www.impala.co.ke to view our complete range of glass products.